It’s a new year, so it’s time to think about our creative pursuits for the coming year. I participate in a variety of creative challenges throughout the year to try new themes or techniques, but also to keep myself challenged and my art fresh. Photo a day hosted by Chantelle at Fat Mum Slim Each month a new list of prompts is shared for the community. each October in honour of Pregnancy and Infant Loss Awareness month. the August Break and December Reflections photo prompts in the months of August and December. 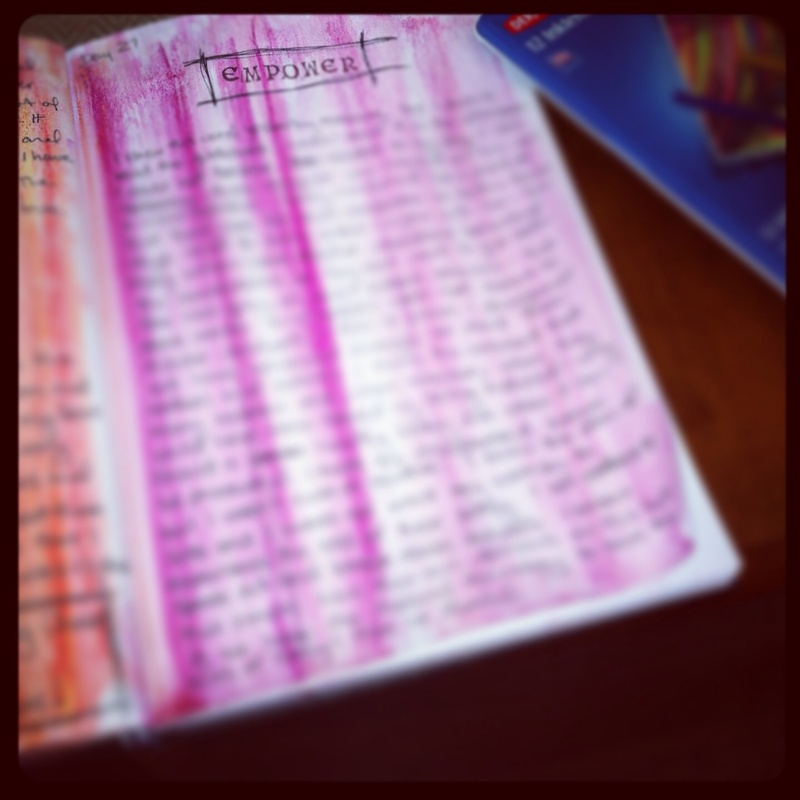 Lisa Sonora hosts a 30 day journal project each January – this years theme is Creative Fire. Anoeska from the Netherlands is hosting Zenuari a daily zentangle challenge – she has put together a challenge booklet that can be downloaded from her website. She suggests that if posting daily is too much pressure, you could make it a weekly challenge. Louise Gale is hosting a weekly challenge – A Year of Nature Art – each week focuses on a different theme, the theme for week one is leaves. Louise will be sharing photos, sketches and her creations to her Instagram and facebook page. So what are my creative challenges for this year? I’m participating in Lisa’s 366 days of untamed ordinary photo challenge, I’m sharing my daily photos on Instagram. I’m also considering joining Louise’s Year of Nature Art as I’m challenging myself to draw different things in an attempt to improve my drawing skills. 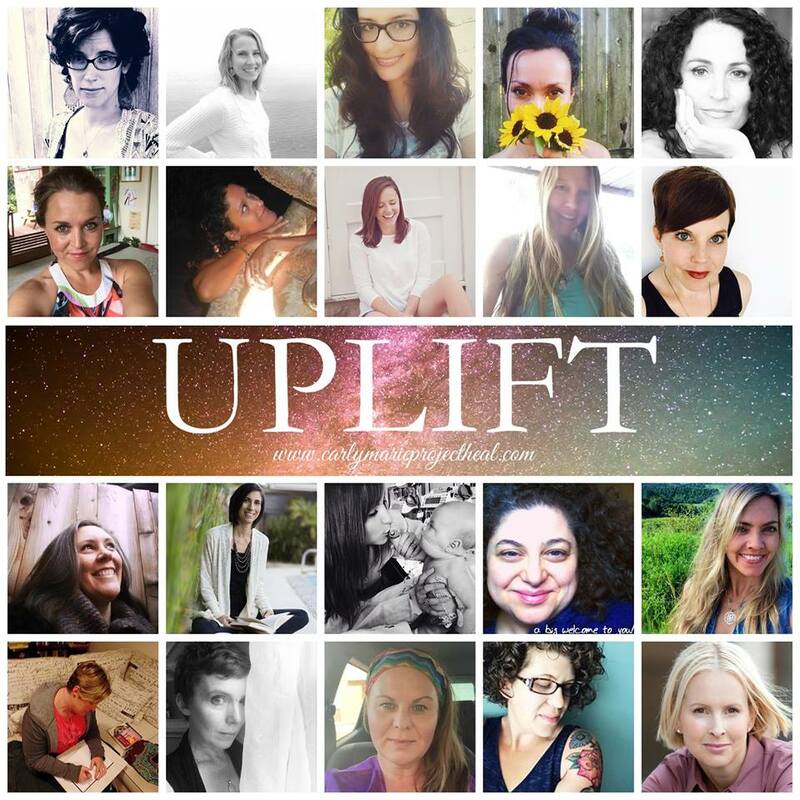 I am honoured to be a contributor to Uplift – a collaborative series of conscious healing for hurting hearts this holiday season. To find out more about Uplift and the contributors visit CarlyMarie Project Heal and the event on Facebook. In June 2014 I was preparing for surgery and couldn’t sleep worrying about it. 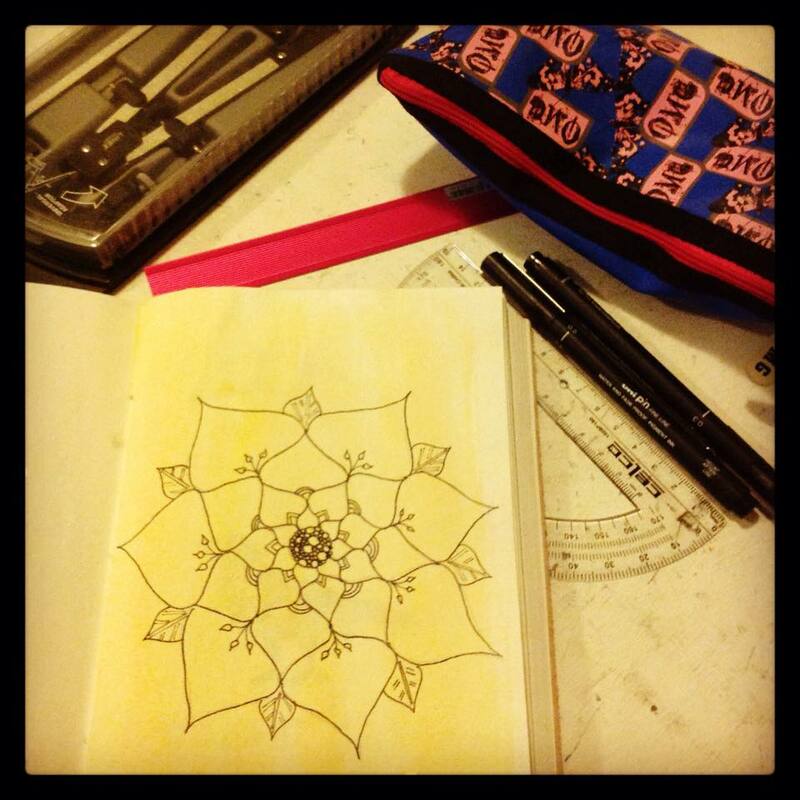 I chatted with my friend CarlyMarie about starting a new journal and drawing mandalas again. I first started exploring mandalas in 2002 when I was hospitalized with pregnancy complications, my son and I would colour mandalas when he came to visit. I found it relaxing and I started colouring them too. Then I started drawing my own mandalas. I drew them freehand and with a compass. I have drawn them on and off over the years. For me they are an exercise in relaxation creating a meditative like state. After chatting with CarlyMarie I started drawing mandalas again, spending my recovery time after surgery drawing mandalas. 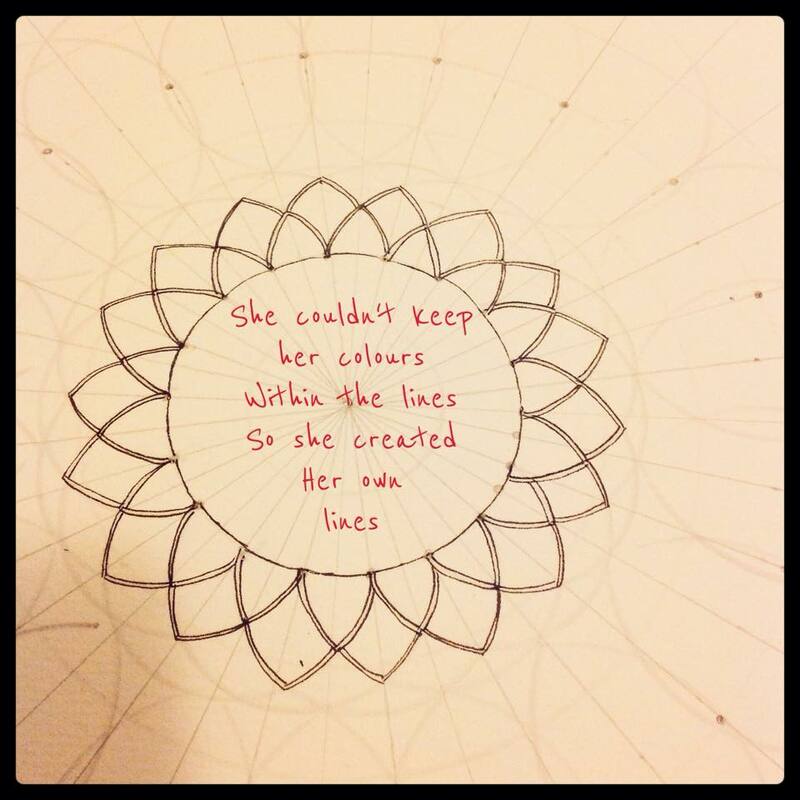 I shared with my online friend Kathryn about picking back up my mandala practice and she was keen to join me. From our chats 100 Mandalas was born. 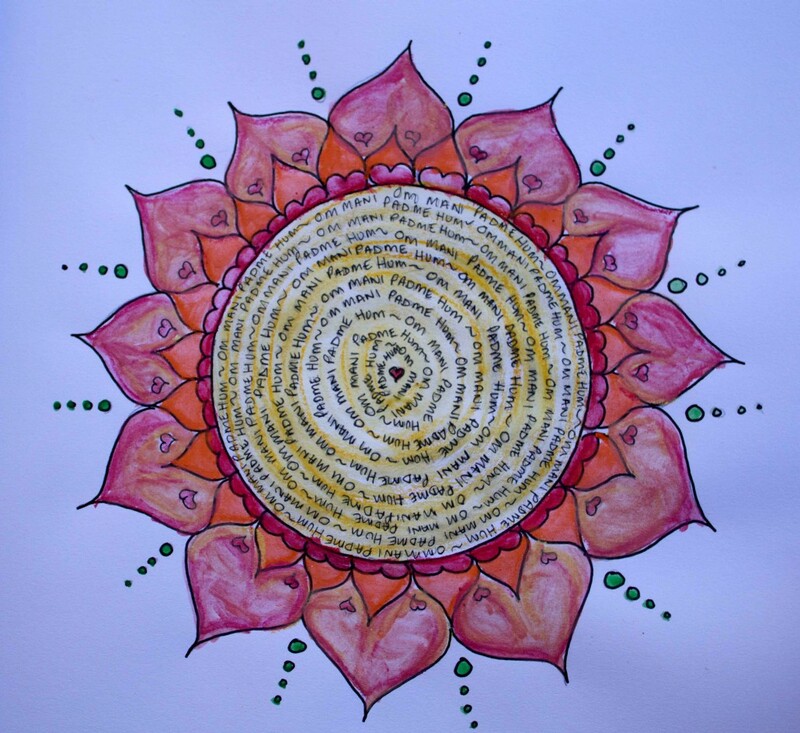 Encouraging people to draw 100 mandalas was born. Since October 2014 when 100 Mandalas was launched I have drawn hundreds of mandalas and met many people who share a love of all things mandala. One of the things that I wanted to do when rediscovering my mandala practice, was to share mandalas with others through workshops. 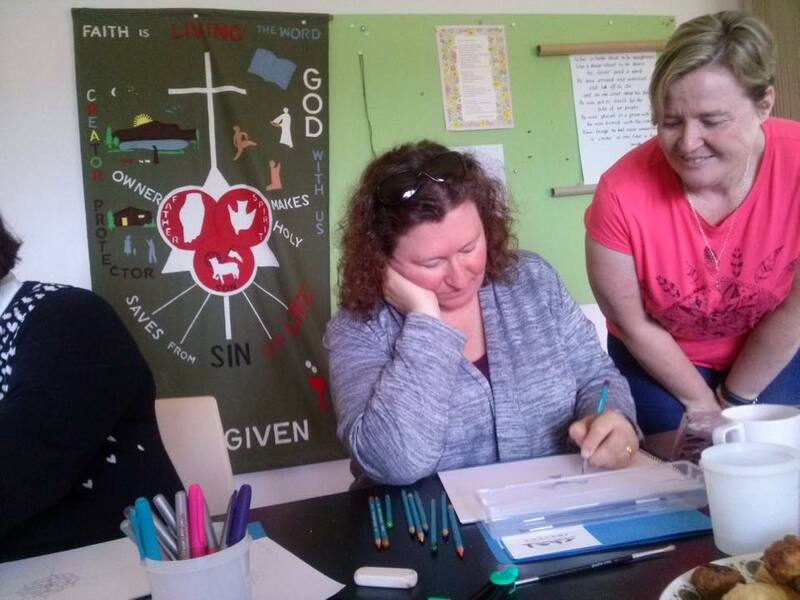 Since then I have had the opportunity to facilitate many workshops through our local bookshop community groups. Now it is time for me to branch out and offer my own workshops, with the first being held at the end of the month. If you are interested in following my explorations with the mandala you can follow this blog, or 4Ravens on facebook or instagram. 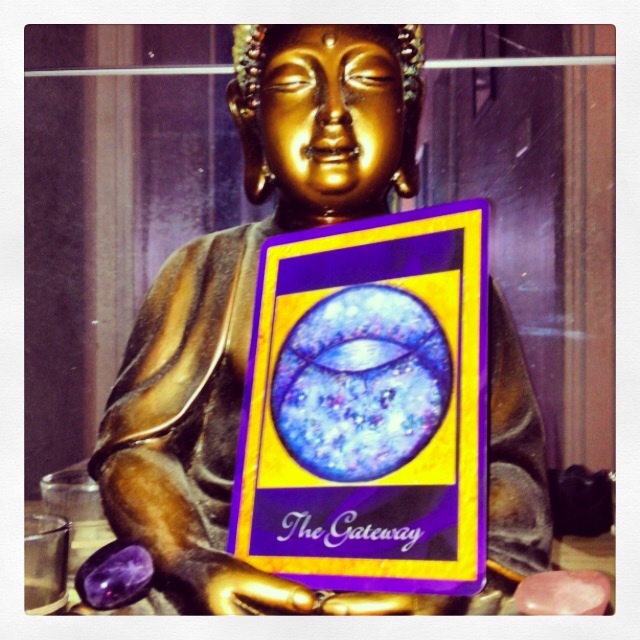 Today’s card is The Gateway, from the Universal Love Healing Oracle. It encompasses the cycle of life. thank you for joining me this month for the oracle journaling project, I’m taking the weekend to decide how/if the project will continue.